I’m not usually a big fan of hot dogs, but the hot dogs at Maui’s Dog House in Wildwood, NJ were definitely amazing. I heard about this place on one of my all-time favorite TV shows…Diner’s, Drive-ins, and Dives. Guy Fieri is my hero. I can go on all day how much I love Guy Fieri, but enough about that let’s talk about these hot dogs. 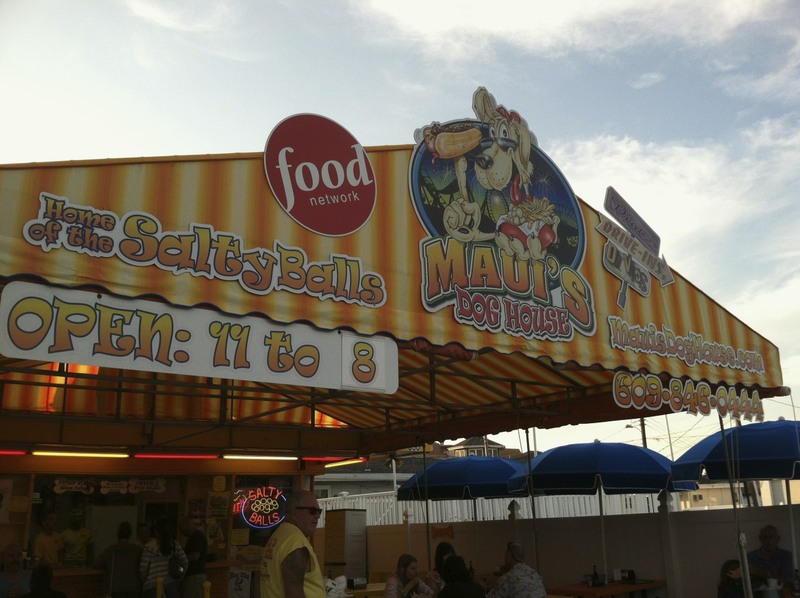 Maui’s Hot Dogs features 23 different gourmet hot dogs. 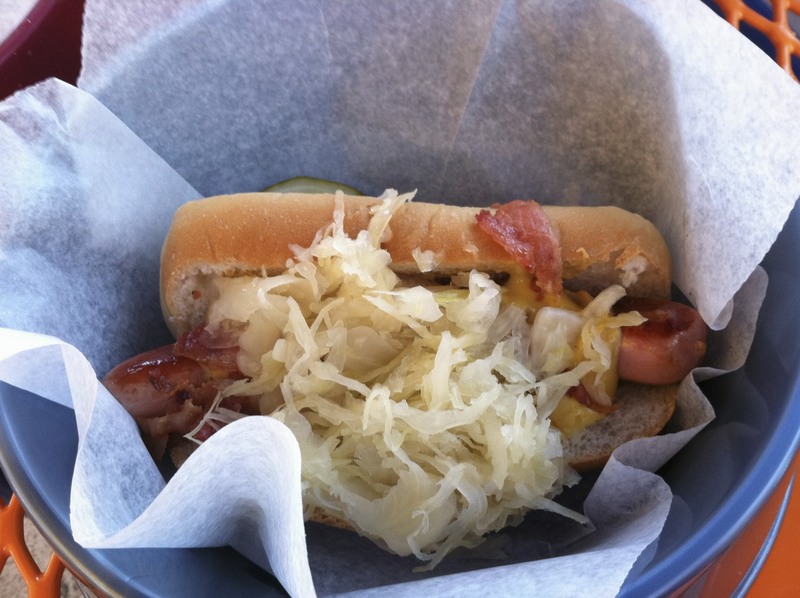 It was a tough decision due to the fact that every hot dog on their menu sounds amazing, but I decided to go for the “Smokin’ Cheesy Drunk” which is a traditional German frank, spicy mustard, beer soaked sour kraut, cheddar cheese, and bacon. The hot dog even comes served in a dog bowl. It was delicious! The “Soprano”– Traditional German frank, baby spinach sauteed with garlic and white wine, topped with extra sharp provolone cheese. Forget- About- It– Traditional German frank, spicy ground beef chili, raw onion, spicy mustard, globs of cheese, and freshly cooked bacon. Horsey In Chicago- Traditional German frank, Horsey Mustard, Raw Onions, Pickles, Hot peppers, Tomatoes, and Celery Salt. 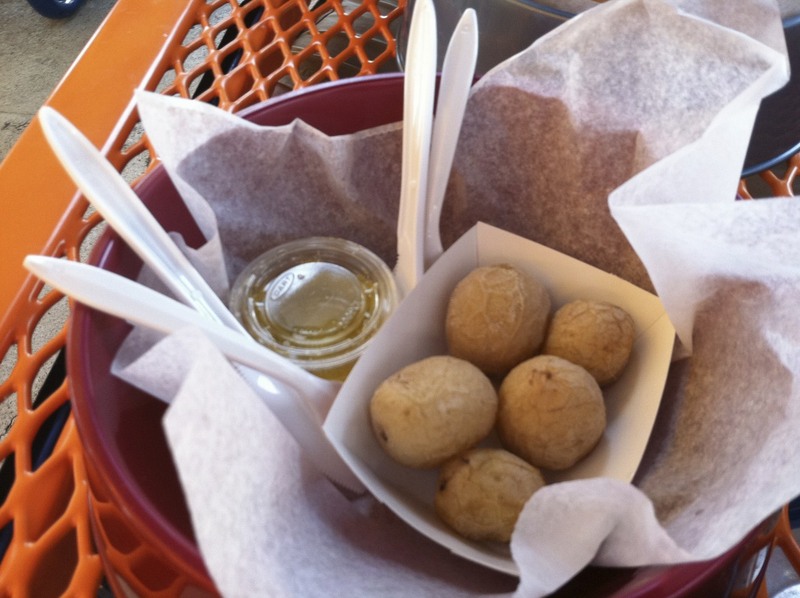 And of course your meal is not complete without a side of “Salty Balls”, which are fresh small potatoes cooked in a brine of salt and spices, served with melted butter. I almost enjoyed these more than the hot dog. Almost…. 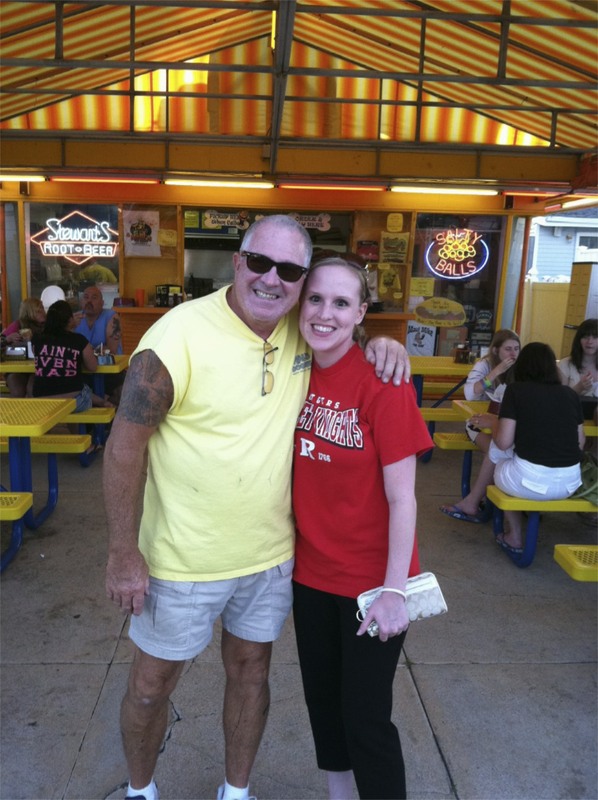 So, if you are planning a trip down the Jersey Shore, I would highly recommend making a stop at Maui’s Hot Dogs. You won’t be disappointed!